How do we live faithfully in a country becoming more and more hostile to our faith in Christ? How do we prepare for the dark and difficult days ahead? In The Church In Babylon, Dr. Lutzer answers both of these questions. 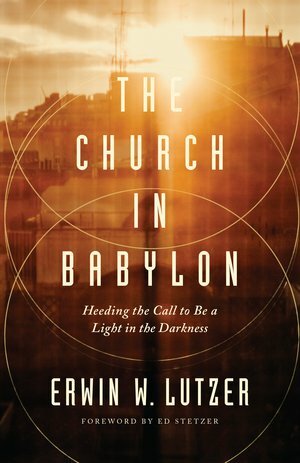 He will walk you through the many parallels between the church in America and God’s people in Babylon, and embolden you to be a gospel witness. You’ll be encouraged not to compromise your faith even when under constant pressure from all corners of society. And more than all this you will have a fresh encounter with Jesus Christ, as you consider the biblical role of those in exile. Request your copy today for a gift of any amount.